Officially known as the Republic of India, India is a large country in South Asia. In terms of physical size, India is the seventh biggest country on the planet, covering an area of over 1.2 million square miles ). It is also one of the most populous, being home to over 1.3 billion people, making it the second largest country on Earth in terms of population. India has shore line along the Indian Ocean, the Arabian Sea, and the Bay of Bengal, and has land borders with China, Nepal, Bhutan, Bangladesh, Myanmar, and Pakistan. India also has the sixth biggest economy in terms of nominal GDP and is regarded as one of the world's fastest growing countries, undergoing a lot of development in recent years but still facing issues regarding healthcare, education, and poverty. India is known as a highly spiritual and religious place, with religions like Buddhism and Hinduism originating and developing in India, and the country being home to many ancient temples and religious sites, as well as examples of extraordinary architecture like the Taj Mahal and fascinating natural areas and landmarks like the Ganges River. The country is divided up into 29 states and 7 union territories; read on for some info on its biggest cities. Mumbai, once known as Bombay, is the capital city of Maharashtra, a state located in the central-western part of India. Mumbai is the largest city in India in terms of population, with a general city population of over 12.4 million and an estimated metropolitan population of over 21 million. 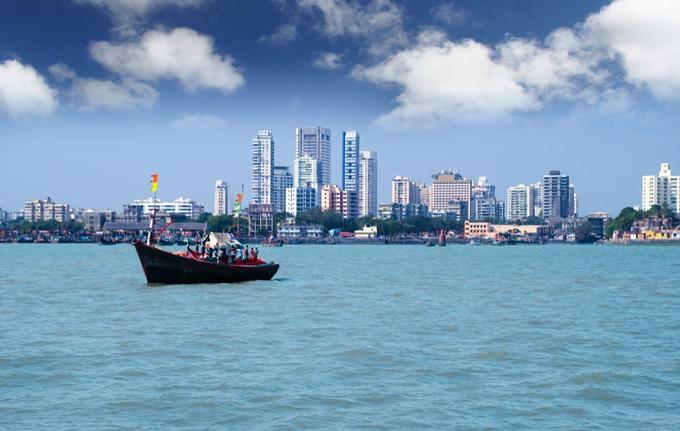 Mumbai is a coastal city, being located on the Konkan coast, and is classed as the wealthiest city in the country, being home to more millionaires and billionaires than any other location around India. Mumbai is also home to some interesting historical sites and touristic landmarks like the Elephanta Caves, the Chhatrapati Shivaji Maharaj Terminus, the Bandra-Worli Sea Link bridge, and the Gateway of India monument. It is the major financial and entertainment capital of the country, well-known as the home of 'Bollywood'. Delhi, officially known as the National Capital Territory of Delhi, is the second largest city of India. Part of Delhi is New Delhi, which is the capital city of India, and the whole Delhi metropolitan area stretches out across a total of 573 square miles (1,484 square km). The city of Delhi is home to over 11 million people, with its entire metropolitan area housing over 26 million people, making it the biggest metro area in India and the second biggest on the planet. Delhi has history dating back hundreds of years and was founded in the northern part of India. This city is a key cultural, political, economic, and educational center for India, being the second wealthiest city in the country and one of the most productive metro areas in all of Asia. Bangalore, which is officially known as Bengaluru, is the third largest city in India. This city is located in the state of Karnataka in the southwestern part of the country and is actually the capital city of the state. Bangalore stretches out across around 270 square miles (700 square km), but its full metropolitan area extends over 3,000 square miles (8,000 square km). The city is home to over 10 million people in total. The official name of Bangalore, Bengaluru, comes from the Kannada language but was anglicised to Bangalore during times of British colonial rule in India. In 2014, however, the city was officially renamed to Bengaluru but is still known under its anglicised name in many parts of the world. Hyderabad is the fourth biggest city in India in terms of population. This city is located in the state of Telangana, which is located in the southern-central part of the country. Hyderabad is the state capital of Telangana and is also recognized as the capital of the Andhra Pradesh state as well. Hyderabad was founded on the banks of the Musi River and covers around 250 square miles (650 square km) of land, being home to around 7.7 million people in its full metropolitan area, with about 6.8 million living in the city itself according to the latest estimates. A key entertainment city for India, Hyderabad is home to the Telugu film industry and also has a past as a key pearl and diamond trading location, even earning the nickname 'City of Pearls'. Nowadays, Hyderabad is also a key science and research location, being home to various scientific institutes and research centers. Ahmedabad is the fifth biggest city in India. It is located in the state of Gujarat in the western part of the country. It was once the state capital of Gujarat, but has since been replaced by Gandhinagar. Ahmedabad was founded on the banks of the Sabarmati River and is less than twenty miles away from Gandhinagar, so there are close links between the two cities. Ahmedabad covers an area of almost 180 square miles (460 square km) and is home to around 5.6 million people in total, with around 6.4 million in the full metropolitan area, according to the latest statistics. Ranked as one of the fastest-growing cities in India, Ahmedabad has also been classed by travel experts and Indian authorities as one of the best cities to visit in India, with its historic district becoming the first UNESCO World Heritage City in all of India.